The Formatt 77mm Yellow 15 Glass Filter is commonly used for a noticeable increase in contrast with black and white films. Sometimes the light just isn't right - flat and muddy. Your blacks aren't black enough and your highlights just don't sing. You tried the Yellow 12 but it still isn't enough. The next step might be an orange filter but before you go in that direction, try a Yellow 15. 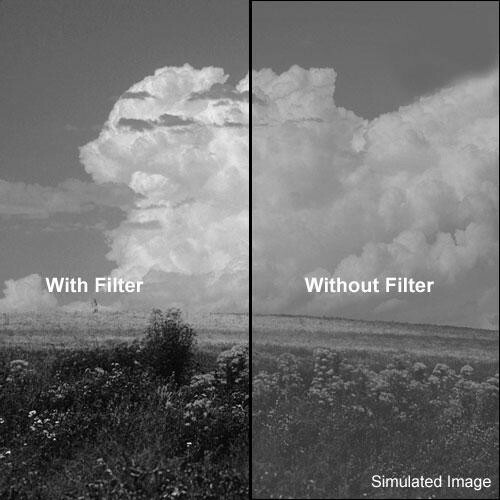 The resulting separation between clouds and sky should be sufficient while still avoiding the harsher effects of an orange or red filter.